Dudley safe companies Dudley model locked out due to stolen keys. Picked open without drilling or damage. Lock changed with two new keys to give them full security again. Dudley Harlech safe picked open in Sheffield after keys were stolen. No drilling or damage needed. A new lock fitted from stock and the safe was good to go. Missing safe keys, new safe keys. We can save your safe. Safe cracking in Sheffield. Dudley safes Euro grade three opened in Nottingham after the La Gard electronic combination lock went wrong. No drilling, no damage, safe reinstated. Fixed on first visit to minimise disruption to the business. That is why you should call a safe specialist. Dudley Ludlow deposit safe picked open in Hull. Both of the nine lever safe locks had to be opened and rekeyed to differ after staff changes. Full security restored for another happy customer. Dudley Harlech safe picked open in Hull. This safe was built into a wall so it was imperative not to do any damage and keep it in use. 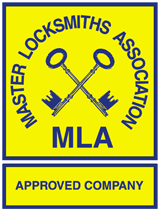 Alan Morgan Master Locksmiths attended and opened the safe without damage, the lock was rekeyed to differ and the mechanism serviced.